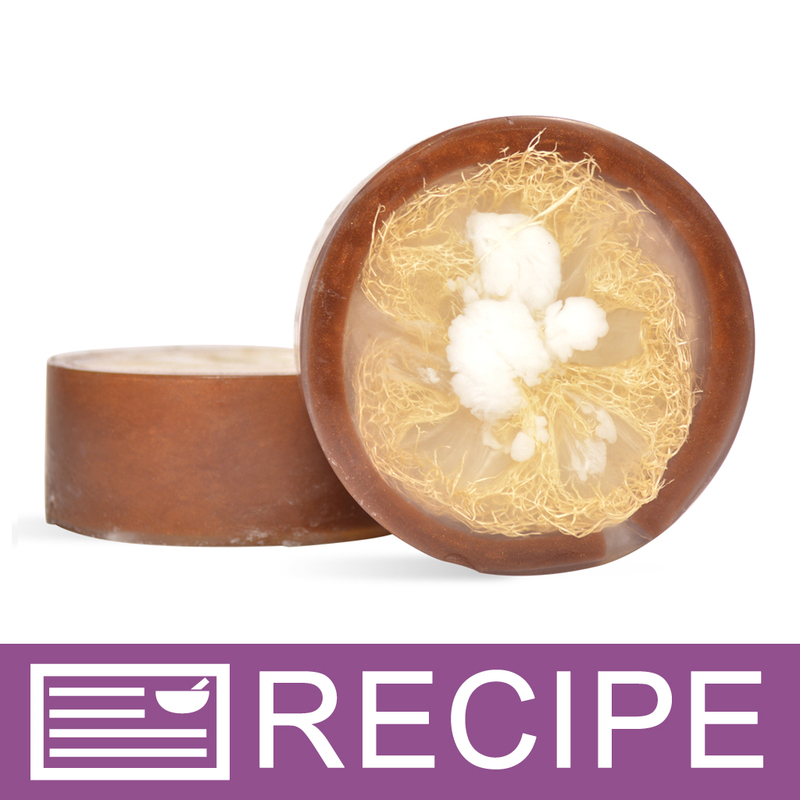 Create soap bars that look similar to coconuts with this melt and pour soap making project. The outer brown shell of this soap is made with the brown sparkle mica and soap. A luffa can be seen in the middle with clear soap surrounding it with a splash of white in the center. Hawaiian coconut fragrance oil ties it all together for this summertime soap. This is a moderate level project, and not recommended for first-time soapmakers.